I started this blog post a couple of weeks ago – it was to be a reflection of the past 8 years and what we have learned about New Zealand and the Kiwi culture, especially as it is reflected through the language. However, that version is on a now-bricked flash drive. Darren is desperately trying to fix whatever I have done to that (not backed up) tiny piece of technology. In the meantime, I will think (and write) about how today is Thanksgiving. Nine years ago, while celebrating Thanksgiving with my family, I announced to my brother that Darren and I were thinking of moving to New Zealand. Kevin responded with “cool!”. 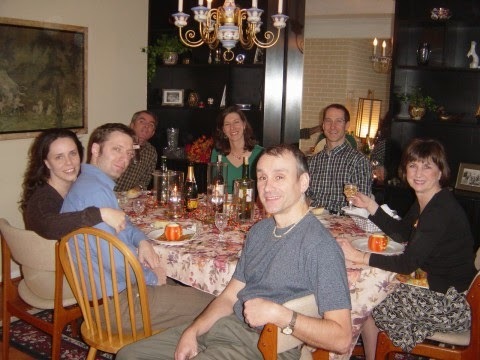 Just one year later, Darren and I celebrated Thanksgiving with my family for the last time*, three days before we headed out on our one-way flight to New Zealand. We landed here eight years ago today.